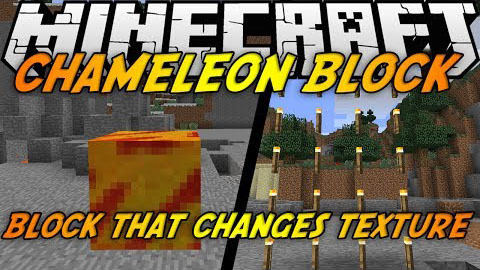 Chameleon Blocks Mod unables players to change colors texture and shape of Chameleon blocks, which are somehow easy to use. All you need to do is place one on the side of a normal block and it will instantly fade to recreate the block you placed it next to. You can then place another Chameleon block on the first one and it will also fade! When you break the normal ?master block? the two Chameleon blocks will switch to their own color again.